To suggest that the role of women in Mormonism is nuanced, would be an understatement. Joseph Smith’s early Church supported an active female role – no pun intended – even the performance of healings in the temple for a brief time, before power consolidated into an increasingly pious male hierarchy. The ongoing doctrine of polygamy reinforces the notion that women are a form of property, enabling men to amass dynastic, eternal power. Joseph accumulated up to 40 wives, while Brigham expanded the doctrine, accumulating an estimated 55 wives. Elite Church leaders continued to illegally practice polygamy in secret for generations. Numerous Prophets have instructed that a Mormon woman’s place is in the home. Only Federal anti-discrimination laws, which the Church vigorously opposed, and the threat of Federal prosecution, forced the Church in 1970s to stop terminating female employment upon the birth of her first child. While no longer as clearly directed from the pulpit, a women’s place in Mormonism remains very different than that of a man. Even into the 1980s, President Kimball reiterated that “…a mother’s place is in the home!” Today, women cannot exercise authority within the Church or establish financial budgets without direct male supervision and approval. There are exceptionally few female leaders or inspiring stories of women in Mormonism or church history. The Book of Mormon cites only 6 females by name in over 500 pages; 3 taken directly from the Bible (Sarah, Eve, Mary), Sariah who complained regularly against her husband and is rebuked, Isabel the harlot, and Abish. Zoram, Nephi, and his brothers all wed, yet each woman is clumsily identified as Ishmael’s daughter. Modern LDS women are presented an exclusively male gerontocracy leadership structure, in stark contrast to increasing opportunities in equality, education, employment and their personal lives. The Church has instructed members to date only temple-worthy partners within the Mormon religion, resulting in a disproportionately large population of single women who have bypassed strongly desired relationship, marriage and child bearing opportunities. LDS Handbook 1 provides official instruction and policy on a wide variety of matters, ranging from temples, marriage, missionary service, discipline, interviews, counseling, finance and administration. The book instructs that it is to be distributed to General Authorities (GAs), Area Seventies, members of General Auxiliary Presidencies, department heads, Director of Temporal Affairs, Temple and Mission Presidencies, Stake and District Presidencies, Clerks, Bishopric and Branch Presidencies. 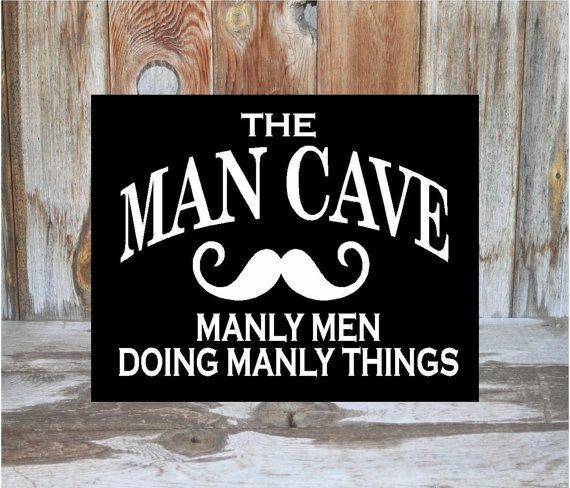 Adding that all up, the number of men reaches approximately 130,000. 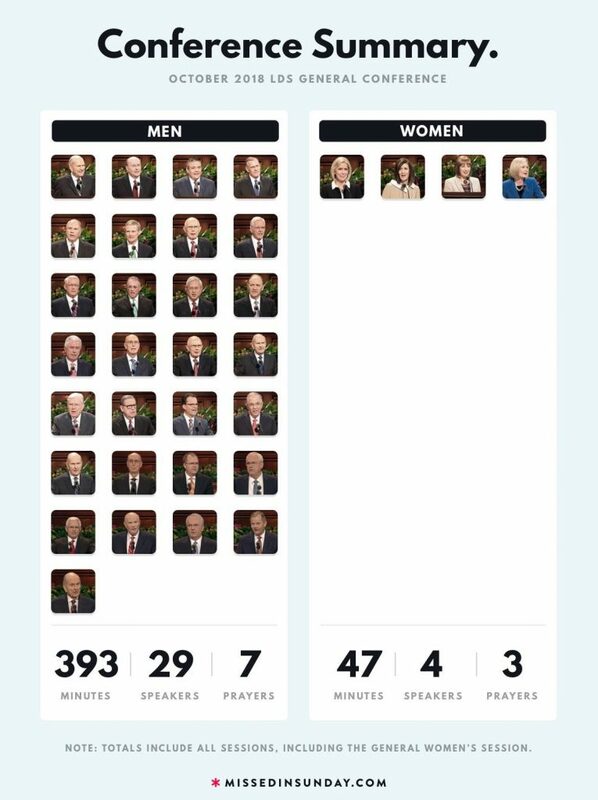 The only women included are the General Relief Society, Young Women, and Primary presidencies (9 women in total). Perhaps there are reasons why Glass Ceiling ranks Utah 49th in the nation for gender pay equality, and why BYU boasts one of the lowest female faculty rates of any school. If you’re old enough, you may remember a shocking part of the LDS temple ceremony, which was removed in 1990. “Eve, because thou hast hearkened to the voice of Satan, and hast partaken of the forbidden fruit, and given unto Adam, I will greatly multiply thy sorrow and they conception. In sorrow shalt thou bring forth children; nevertheless, thou mayest be preserved in childbearing. Thy desire shall be to thy husband, and he shall rule over thee in righteousness.” It’s interesting to note how Mormon women are not saved merely by the grace of God, but through childbearing and their authority holding husband. Only recently has the patriarchal rhetoric of the temple been softened. Lucy Mack Smith, the Prophet’s mother, was the first woman to speak at General Conference Oct 8, 1845. LDS authorities did not invite another woman to address Conference for 143 years. In a 1967 Priesthood Bulletin, the First Presidency provided the following instructions: “Only those who bear the Priesthood [should] be invited to offer the opening and closing prayers in sacrament meetings, including fast meetings. This also applies to priesthood meetings.” The August 1975 Ensign reiterated this inspired policy. Not until 1978 did the Church release a statement affirming that there was “no scriptural prohibition against sisters offering prayers in sacrament meetings….it was therefore decided that it is permissible for sisters to offer prayers in any meetings they attend.” (Ensign, Nov. 1978) But it would not be until April 6, 2013 that Jean A. Stevens was invited by the Brethren to offer the very first female prayer at the worldwide opening conference session. In 2005, former 1st Counselor of the General Relief Society Presidency, Chieko N. Okazaki, granted an amazing interview to Gregory Prince in Dialogue: a Journal of Mormon Thought. When she realized that the lesson manual was due to be updated soon she prayerfully wrote a general outline to get the important process underway. After her outline was approved by the Relief Society Presidency, she brought it to the appropriate male-led Curriculum Committee. She was promptly informed that her lesson manual outline and suggestions were not necessary because a new manual was already nearing completion. Men, exercising their priesthood authority, wrote the instruction manuals without consulting women. Rational Faiths: Why Aren’t Women Included? LDS GENERAL CONFERENCE WOMEN / MEN RATIO, OCTOBER 2018. “May God add his blessing upon your heads and lead you in all the paths of virtue, piety & peace, that you may be an ornament unto those to whom you belong, and rise up and crown them with honors, ….” (Nauvoo Relief Society Minute Book, 88, josephsmithpapers.org). Heber C. Kimball is credited with saying, “The brother missionaries have been in the habit of picking out the prettiest women for themselves before they get here, and bringing only the ugly ones for us. Hereafter you have to bring them all here before taking any of them, and let us all have a fair shake.” And he was certainly referring to women as property when he instructed,”You are sent out as shepherds to gather the sheep together; and remember that they are not your sheep: they belong to Him that sends you. Then do not make a choice of any of those sheep; do not make selections before they are brought home and put into the fold. You understand that. Amen (Journal of Discourses 6:256). This is the very same Orson whom Joseph dispatched on a distant mission, discovering upon his returned that Joseph had taken his civilly married wife as a plural bride in his absence (Apostle Orson Hyde, LDS General Conference, Oct 1854). “In the spirit world there is an increase of males and females, there are millions of them, and if I am faithful all the time, and continue right along with brother Brigham, we will go to brother Joseph [Smith] and say, ‘Here we are brother Joseph’…. He will say to us,…. ‘Where are your wives?’ ‘They are back yonder; they would not follow us.’ ‘Never mind,’ says Joseph, ‘here are thousands, have all you want’” (Apostle Heber C. Kimball, Journal of Discourses, vol 4, 209). 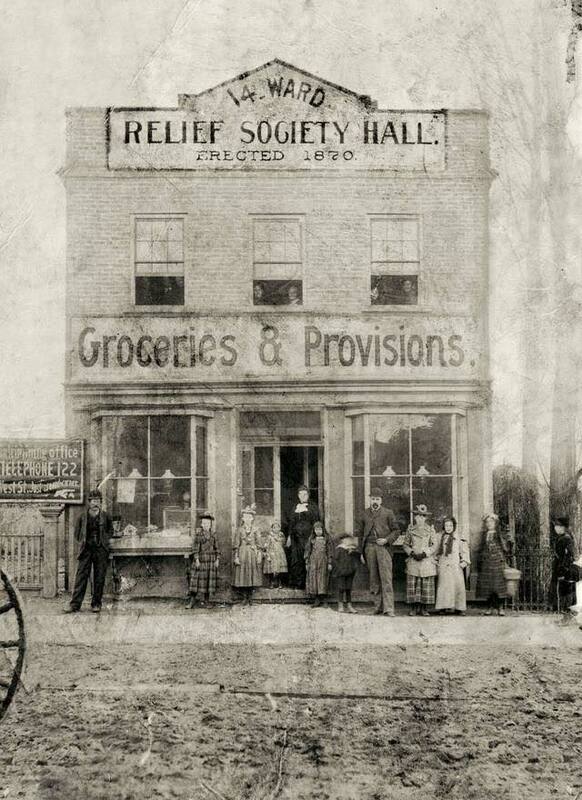 On March 17th, 1842 Joseph Smith sponsored the organization of the Relief Society, with Emma Smith as President. Her counselors were Elizabeth Ann Whitney, Sarah Cleveland, and Eliza R. Snow. On June, 1842 Joseph married Sarah Cleveland, who was at the time already married to John Cleveland, her second husband of fifteen years. On June 29th, 1842 Joseph Smith married Eliza R Snow (Sarah Cleveland is a witness to this sealing). On July, 1842 Joseph married Sarah Ann Whitney, Elizabeth’s daughter, with Elizabeth and Newell Whitney’s consent. Within four months of establishing the Relief Society, all of Emma’s leaders were compromised by polygamy without her knowledge. Those same women were defending Joseph to Emma, suggesting that no-one should speak evil of the Prophet. The Relief Society was convened on March 17, 1842. According to the Church’s First Fifty Years of Relief Society, there were 19 participants at that first meeting, besides Emma herself. 5 of the 19 became Joseph’s polygamous wives (Desdemona Fulmer, Eliza R. Snow, Martha McBride Knight, Elvira Cowles, and Sarah M. Cleveland). Joseph proposed to another 2 of the 19 but they rejected him (Nancy Rigdon and Sarah M. Kimball). Joseph also proposed to another, but when rebuffed, suggested it was only a test of her husband’s faith (John Taylor’s wife Leonora). John Taylor said yes, by the way. Emma Smith had taken to using the Relief Society as a platform to oppose polygamy, so the meetings were suspended on March 16, 1844. 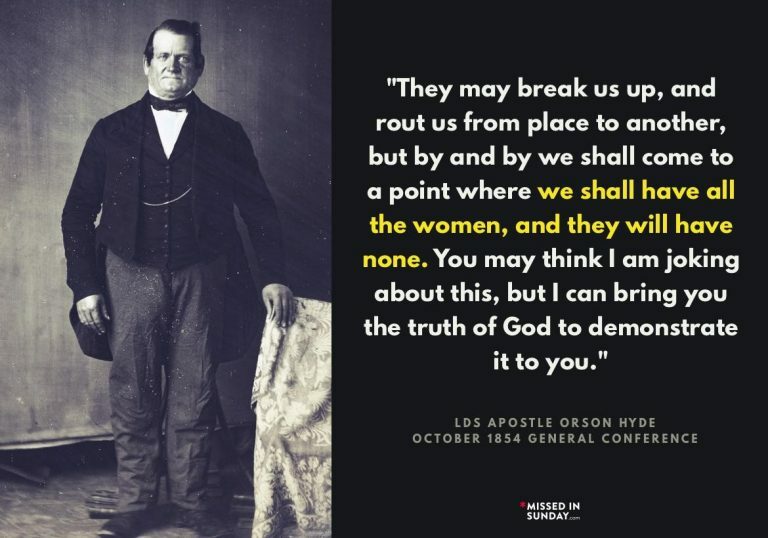 Within months of assuming leadership, Brigham Young began marrying some of Smith’s wives as his own, and announced his decision to “stay” (dissolve) the organization. Eliza R. Snow, the originator of the first Charter and bylaws, took the group’s minutes and charter west with her to Utah. In 1854, a group of sisters with limited means formed an “Indian Relief Society” to provide compassionate service to local Indians. The group remained informal and independent of any official Church recognition. To stave off a full blown resurrection of The Society, Young encouraged sisters to convene independent Indian relief societies at their ward levels without organizational support to sustaining then. In 1868, Brigham Young asked Eliza R. Snow, then one of his plural wives, to reorganize the Church-wide Relief Society. Young’s action corresponded with the period of “retrenchment” – keeping LDS members to the fundamentals of the Church, including polygamy, in the face of the upcoming railroad incursion into Utah. Thus, the “Why it was dissolved” and “Why it was resumed” both had to do with polygamy. The Relief Society is unquestionably an auxiliary to the Priesthood, as women are not allowed to hold any presiding office. Every calling within the organization must be approved by a man at the Ward or Stake level, then the woman must be “set apart” exclusively by a group of men, with women sitting to the side. The Relief Society is a group of women organized, budgeted and presided over by men. All leaders of this women’s group, from the General President on down to the President of the most remote branch, are selected by men in closed door meetings to which no women are invited. Men also oversee the instruction manuals of the women’s organization, and all activities must be approved by men. Women may not even hold an activity in a Church building without the supervision of a man. 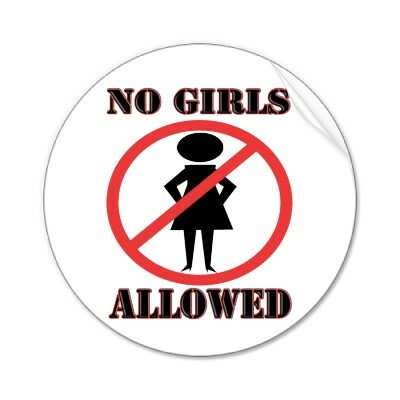 While women visitors are welcome, actual membership in the group is not open to the public; women must first join the religion to become official members with rights, responsibilities or callings. 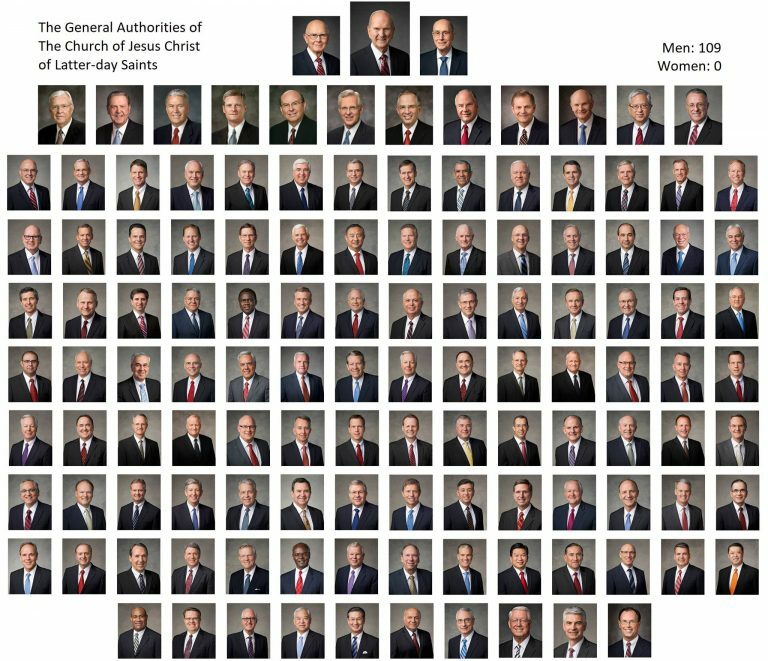 The Church has a history of excommunicating women who speak against the exclusively male leadership. Until recently, the religion’s most holy temple rituals required that women veil their faces and promise to accept and live the New and Everlasting Covenant, which is both eternal marriage and the eternal principle of polygamy (though it’s not so easily identified as such in the ceremony). Up until 1990, women were required to swear obedience to their husbands, instead of directly to God. LDS patriarchy continues to link a woman’s value to her homemaking skills. There can be little confusion when prophets suggest, “Beguiling voices in the world cry out for alternative life-styles for women. They maintain that some women are better suited for careers than for marriage and motherhood… The seeds of divorce are often sewn and the problems of children begin when mother works outside the home.” President Kimball went further to endorse that “Being a wife and mother and having a family is…priority…more important than a college degree, a job, developing talents, or anything else!” (The Honored Place of Women, LDS General Conference, Oct 1981). Perhaps the legacy of Brigham Young’s instruction that, “A woman, be she ever so smart, will never know more than a man who holds the priesthood” is why Utah consistently ranks very near the bottom of gender equality, physical and mental health, socio-economic and political empowerment measures. LDS daughters deserve the same developmental and economic opportunities as men, yet Utah ranked 50th in gender equality. LDS publications, such as Mothers’ Employment Outside The Home and Eternal Marriage Student Manual, make a woman’s role clear. The Washington Post recently revealed survey results indicating that Utah is the second-most sexist state in America. WalletHub rates Utah dead last by a wide margin in terms of women’s equality. 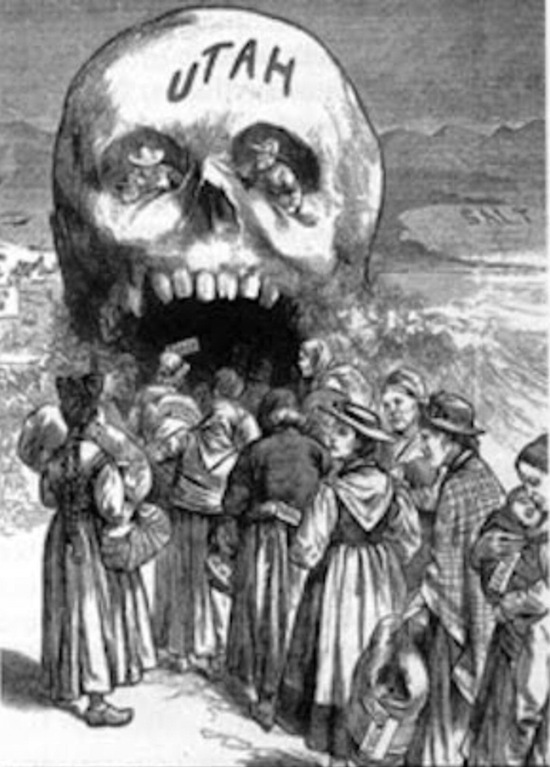 It was known by non-Mormons that women were being taken advantage of in frontier Utah. In the 1930s, “You will not give a recommend, under any circumstances, to a wife whose husband is not a member of the Church” (The Development of LDS Temple Worship p. xlviii). “A woman will find greater satisfaction and joy and make a greater contribution by being a wise and worthy mother raising good children than she could make in any other vocation” (Eldon Tanner). In 1970, within months of the death of President David McKay, influenced by Harold B. Lee and Joseph Fielding Smith, the Church terminated the Relief Society magazine, canceled independent fundraising events, closed separate bank accounts and moved the funds into the general fund for church-wide use (Writing of Mormon History, 233). In 1970, the First Presidency declared that a woman married to an inactive man would henceforth be prevented from entering the temple, “even though the husband is willing to give his consent in writing for his wife to receive her endowment.” When Church leaders reaffirmed this policy in the 1976 General Handbook of Instructions, they noted that the same restriction did not apply to husbands. In 1986 the First Presidency reversed its policy prohibiting women from attending the temple if they were married to non-Mormons (The Development of LDS Temple Worship, p. xlix). On 1973, Spencer Kimball, when asked “Will there be a change in attitude toward women?” replied “Not too abruptly. We believe that the ideal place for a woman is in the home” (Writing of Mormon History, 234). Even into the mid 1970’s, only single women worked at Church headquarters. If a women married, it was assumed her career was over so she could stay home. There was an established LDS employment policy that termination would occur upon birth of a woman’s first child. The Church sought the legal opinions of three separate law firms before conceding that it could no longer terminate mothers (Writing of Mormon History, 243). The Equal Rights Amendment of 1972, which formalized women’s rights, passed in both houses of Congress and simply awaited state ratification. 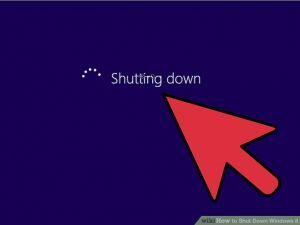 The Church vigorously opposed it and formally organized members against it, playing a decisive role in its ultimate defeat. The Church excommunicated outspoken ERA advocate Sonia Johnson, suggesting “moral” objections while continuing to rally Mormon women to support political activities. When screening the first cut of The First Vision video on April 19, 1976, Thomas Monson asked “Why did you feature the mother? We’ve got to feature the father. This is a priesthood-oriented Church. We’ve got to feature the priesthood, not the mother” (Writing of Mormon History).